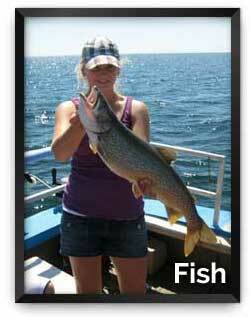 We offer superior adventure from our remote lodge on Bowman Island. Bowman Island is located off the south shore of St Ignace Island in the center of the new Lake Superior Marine Conservation Area on the north shore of Lake Superior. 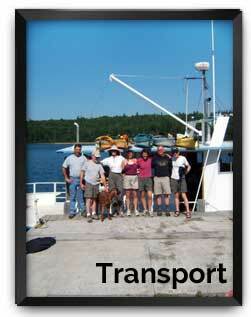 Our 30 ft water taxi and 45 ft trawler are licensed by the Department of Transport to carry 8 to 10 passengers. We can take you to our remote lodge on Bowman Island. Bowman Island is just off the south shore of Saint Ignace Island, which is centered in the new Lake Superior Marine Conservation Area on the north shore of Lake Superior. The only access to the lodge is by water or air. 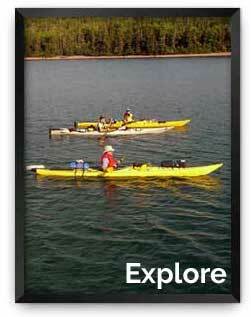 Kayak or canoe along the rugged shorelines, or inland lakes of the Lake Superior National Marine Conservation Area. Kilometers of trails on the islands with thousands of hectares to explore. Historical sites, from ancient to more present. Unique Geology and rocks. Hundreds of kilometers to explore. Bowman Island Lodge and Charters provides Water Taxi Service from the Nipigon Marina to the islands of Nipigon Bay and the Lake Superior Marine Conservation Area. 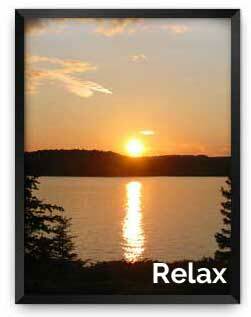 Drop offs and pick ups for all your activities, from Kayaking, Nature walks to Hunting and fishing.